Our Stonecast range of simple square and rectangular planters are called QUADS. We have a large range of standard sizes but are also able to custom manufacture to client specification. 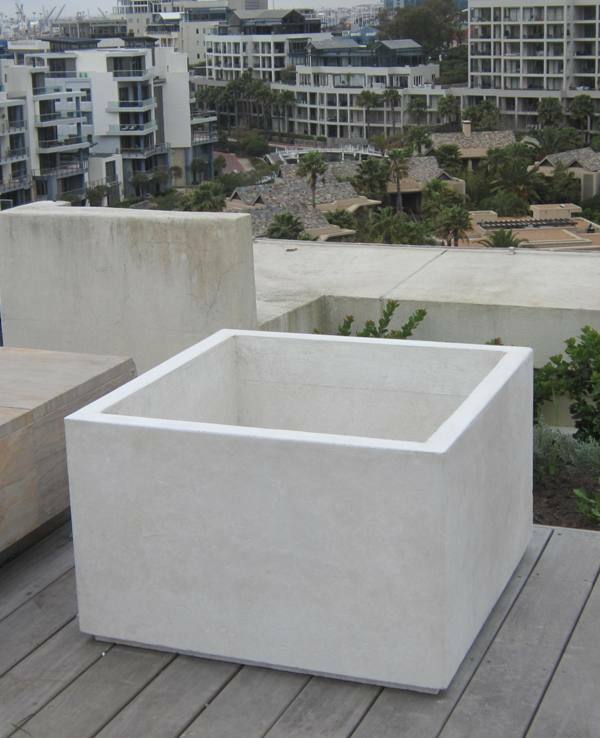 These planters are, in effect, sturdy concrete boxes that are reinforced to resist root and soil pressure. 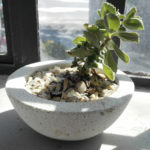 They are finished in the Natural Off-white Cut-sandstone finish or in the more industrial off-shutter concrete finish. They are not supplied with drip trays, but they can be placed on an Integrated Drip Tray or IDT which is made on request and in this way does not detract from the simple box design aesthetic. All drainage holes are supplied. Due to the excessive weight of these items it is often necessary to make use of a crane truck when delivering to site. 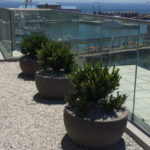 This is obviously dependent on the dimensions of the planters involved but stairs and wooden decks are problematic for delivery and placement in general.